Frank + Candor is proud to be the agency of record for Dignity Memorial®/SCI, North America’s largest funeral service provider with a network of more than 2,000 locations. Through a complete re-branding process, we have repositioned Dignity Memorial as the industry leader in providing personalized memorial services. 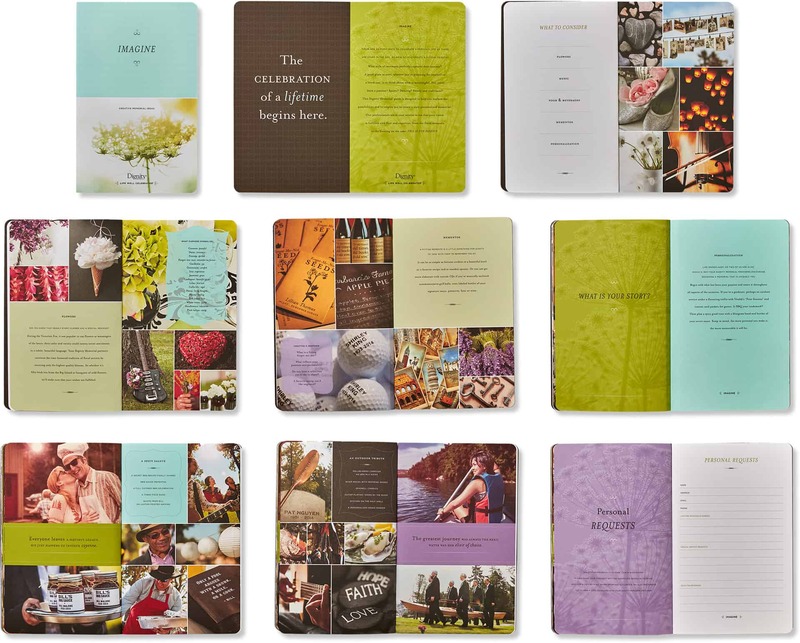 A visually uplifting booklet filled with creative memorial celebration ideas. 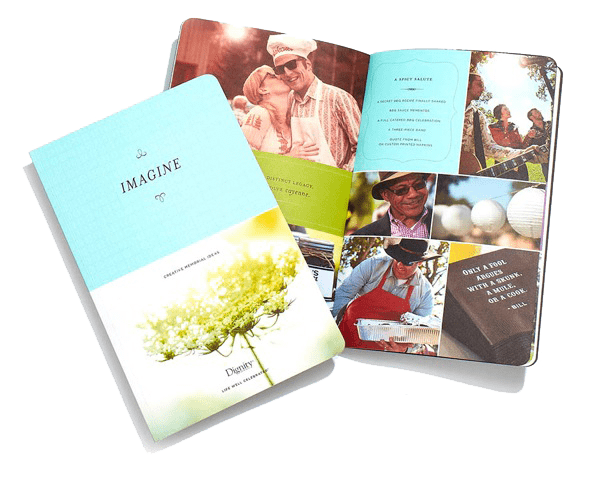 The first of its kind in the funeral industry, The Imagine Book gives permission to celebrate a loved one’s life in an enjoyable and personalized way. I've worked with Debbie White for over 7 years and she continues to be my #1 partner in creative asset development (TV, digital, radio, print) because of her ability to deliver amazing work time and time again. 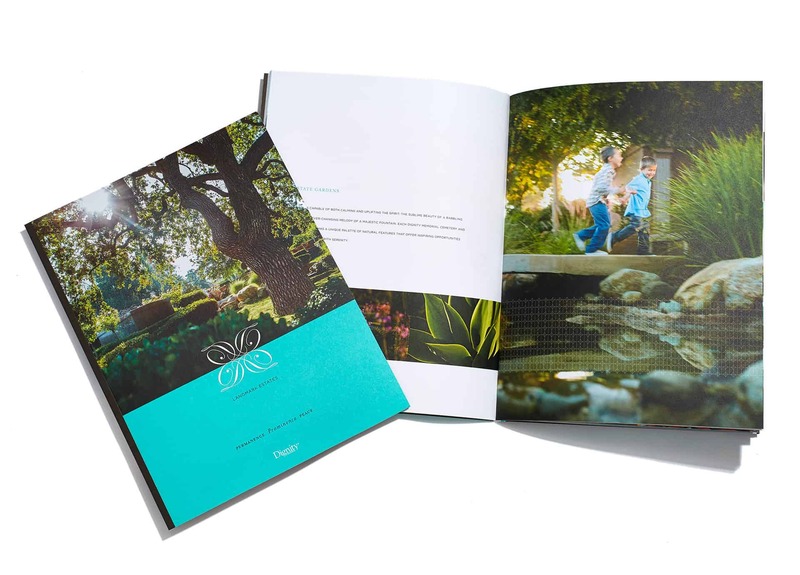 High-end cemetery properties are showcased in this inspiring and informative 9″ x 12″ brochure. Dignity Memorial has increased brand awareness by 25% in four key national markets over the first three years of the rebrand. Digital ads play an important role in the fully integrated Life Well Celebrated® campaign. Facebook and pre-roll ads are also utilized in the digital space. 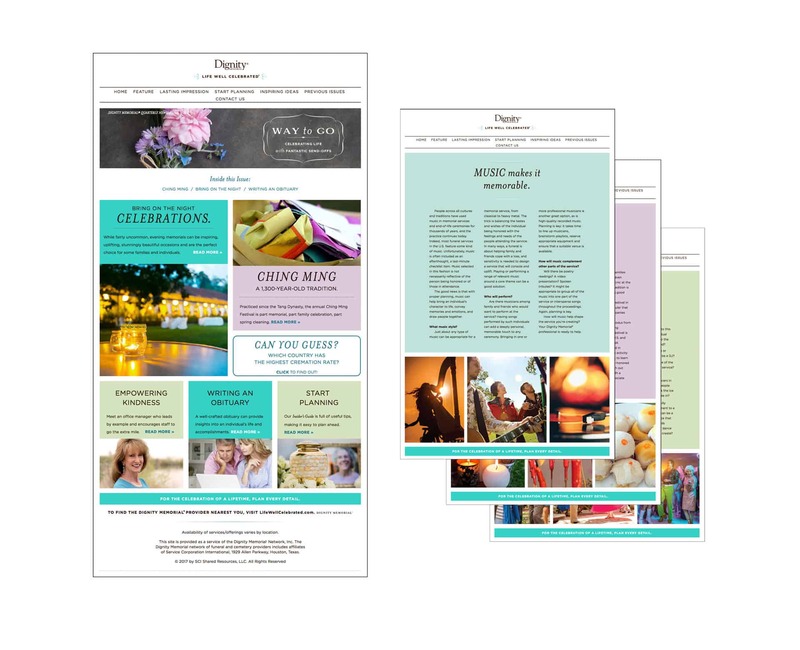 A quarterly nurture email campaign drives consumers to this quarterly newsletter that puts a contemporary spin on the funeral discussion. It showcases personalized services and features informative articles on various topics pertaining to memorial services and Dignity Memorial. This content continues to capture potential customers into their nurture stream. More than $600,0000 in annual revenue can be attributed to this microsite. Radio was used as a support medium to further illustrate examples of personalized memorials. In this spot, the listener is a fly on the wall during a loved one’s service.